We look forward to earning your trust and respect through our 'on-call' level of service and our extensive local knowledge. We invite you to put our Experts to the test. We sell a home every day! That means that you will be assisted with your real estate needs by professionals who are the most experienced in the market. Team members receive continuous training in all aspects of real estate so you receive representation from true professionals who know their craft like no others. You have seen us featured on NBC, CBS, ABC, WHIO, and WHKO. Star of ABC's Shark Tank and real estate guru Barbara Corcoran trusts us and recommends us to sell your home. Frye Guy and Nancy on K99.1 have recommended us for years for all your real estate needs. Tami Holmes Real Estate Experts specializes in all of Southwest Ohio including Dayton, Cincinnati and Troy real estate. We love the Southwest Ohio area! We're passionate about the real estate market here. We have an amazing Team of Real Estate Experts. We are confident that they will deliver world-class service. 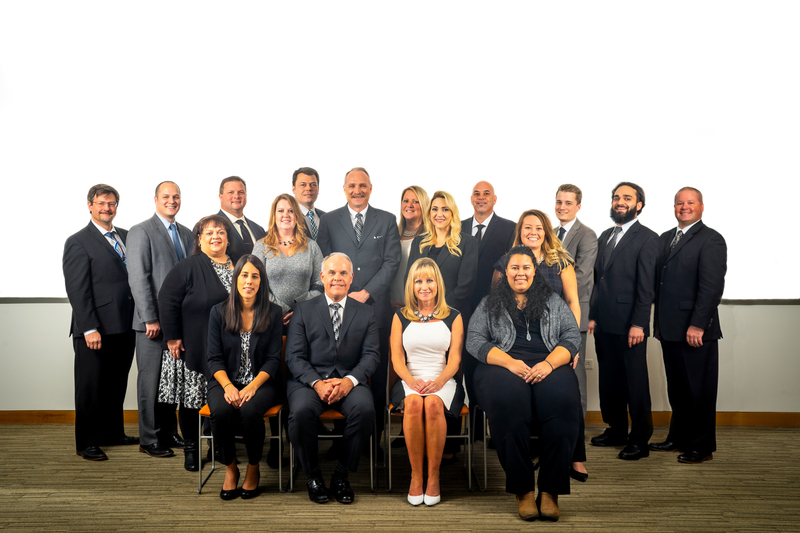 In addition to our Team Leader Tami, our Experts include Mike Williams, Travis Wilt, Jody Canupp, Vanessa Boling, Traci Stoll, Jason Mathews, Todd Sweet, Allan Konnagan, Terry Mull, Haley Rose, Lauren Harris, Beth Workman, Kurt Keiser, Michelle Staas, Jim Schemel, and Brody Poling. I'm in real estate because I really enjoy getting to meet new people and help them find their dream home.I want people to enjoy the process and feel like they have somebody on there side that they can trust and that will go above and beyond to help them reach their goals! Client Concierge - Beth joined the Tami Holmes Team in October 2016 Beth has been in Sales for over 22 years, but first time in Real Estate. Working with people and helping them find what they want is her favorite part of the job! I work as a Contract Coordinator for the Tami Holmes Team. I assist with many office tasks and answer the phones during our business hours. As a Contract Coordinator, I keep our clients updated and informed throughout the home buying and selling process. My goal is to make sure our clients have a transaction that runs simply and smoothly. In my spare time I love to draw, read, and listen to music. I am a licensed Contract Coordinator and the Office Manager of the admins on our Team. I am happily married and we have 2 growing young boys. I have been on the team since 2011 and absolutely love what I do. As a Contract Coordinator, I assist with both the buyer and seller transactions. Once a contract is accepted, it is my job to communicate with all parties and to walk our clients through each step of the process! I love getting to know our clients and I take pride in getting them to the closing table! Buyer Specialist - Buying a home can be one of the most satisfying experiences a person can make. Along the way there will be many questions, concerns and anxiety. I have worked very hard the last 20 years to be educated about the process. I will walk you through the steps needed to secure a mortgage, find the perfect home and purchase that home with confidence. I have owned a property management and maintenance company, been a real estate investor and also a licensed Realtor. Being well rounded in the industry I can honestly say that I’ve been in your shoes. Pairing my experience, with your desire, we will be unstoppable in finding your perfect home. My wife, Bekah, and I have been a team for over 5 years. She is my source of energy and enthusiasm. We both enjoy volunteering in our community. We also enjoy traveling and entertaining friends and family. Clients are not business partners, they are friends. Friends build trust in one another and work together to move forward. I look forward to working with all my friends and to building relationships that last long past the purchase of a home. Buyer and Seller's Specialist - I feel blessed to help people sell their home or find their new dream home. I also enjoy working with investors to help them start or increase their real estate portfolios. Personally, my husband Mike and I have 3 beautiful kiddos. I am also a philanthropist with a mission to help children within our foster care system get a mentor and a support system. I look forward to hearing from YOU. Kurt joined the team in August 2018. He has been doing sales for over 20 years ranging from B2B for Fortune 500 customers to customer-facing with products or services. He strives at being a "trusted advisor" to his clients by advocating his knowledge and integrity when listening to a client's needs and assisting them with professional recommendations to meet their goals. The number one goal for Kurt is to focus on the customer and to ensure all of their objectives from the service have been met--anything less is a failure. Director of Client Care - I have been with the Tami Holmes team since 2013 as the Listing Coordinator. In April of 2016 I transitioned to the position of Director of Client Care. As such, I take over after the sale has been completed, to ensure that our Customer Service has been everything we wanted it to be. I also take care of the technology that our team puts to use for you. I am passionate about music, reading, and the arts. I love going to the beach, and spending time with my husband. I recently joined the Tami-Holmes team, I love working with people. I have been in sales for over 15 years. I am really excited about making peoples dreams come true, so real estate is going to make my heart happy! I have a wonderful husband named Noah and two beautiful girls. I love to spend time with my family and I love to travel. I look forward to working with all of our clients and finding them the perfect agent to go with their perfect home. As Listing Coordinator on the Team, I work closely with our listing agents and our clients with the goal of making the listing process go as smooth as possible before an offer is presented and accepted. When you have a question or concern, I will address it with my full attention and with the hope that you will always feel comfortable through this exciting process of selling your home or property. As the wife of a retired US Sailor and the mother of two teenagers, I am comfortable with making sense out of chaos. So rest assured that I am busy behind the scenes working diligently for each of our clients so that their selling experience feels effortless. Buyer and Seller Specialist - Mike Williams has been part of the Tami Holmes Team since 2011. Being licensed since 2006, Mike brings a strong work ethic and a lot of experience to his clients. Being a Certified Negotiation Expert gives Mike the skills needed to negotiate the best price and terms to fit each client's situation. He works diligently to find the perfect homes for his clients and their families. Let him put his knowledge and experience to work for you. As a Buyer Specialist, my focus is on finding the perfect house for you and your family. Whether you are a first time home buyer, trading up for your growing family, or downsizing for retirement, I'm here to take the stress and worry out of the process. With an entire team of experienced professionals to back me up, I have the skills and experience to help you find the home of your dreams and navigate you through the buying process. I joined the Tami Holmes Team in 2016. I enjoy the challenge of the hunt when helping my clients find and purchase their ideal home, and guiding them throughout the process. I will work on your behalf with enthusiasm and steadfast resolve. I will negotiate the purchase to get the best terms and price for you. When I'm not working I love spending time with my wife, daughter and family. Let me assist you in finding you and your family's next home. Buyer Specialist - I am a wife and mother of two boys! Just as I take pride in my family, I take pride in the way I do my job! I aim to make the home buying process as easy as possible for my clients. I commit myself to my clients, I am always available, and willing to fight for YOUR best interest! Accomplishing "The American Dream" is such a wonderful thing, let me help you get there! Buyer and Seller's Specialist - Travis has been working diligently for his clients since 2007. Travis is tireless when it comes to helping his clients whether it be buying or selling. He has worked hard to become both a certified home buying advisor as well as a certified home selling advisor. As a certified negotiating expert, Travis will work hard to get you the best possible price on a home. Travis' experience and passion in the field will help make the sale of your home or your new home purchase worry free. Seller's Specialist and Founding Partner - Tami began her real estate career as an investor. She located undervalued properties, beautified them and passed them on to delighted new owners. She now uses that knowledge to help others sell their homes in the least amount of time and for top dollar. Tami’s in-depth knowledge of local markets and real estate practices have established her as an expert in her field. She is one of a handful of agents that holds the designation of Certified Negotiation Expert. Negotiation is one of the most critical skills for an agent but few possess the advanced training and experience in this area. She has also forged extensive connections with a nationwide network of other top real estate professionals. This powerful group masterminds innovative approaches to the rapidly changing real estate landscape. This has kept Tami ahead of the typical approaches of local agents and sets her apart in a league of her own. That is why Tami is the area’s most widely known and sought after real estate professional. Tami and Fred, her husband of over 35 years, have worked together throughout their married life and continue to do so. This partnership brings their various business strengths and talents to bear for her many happy clients. Fred presently serves as the organization’s Chief Operations Officer. Tami loves to help others. That is true in her professional life but also extends to her private life where she spends many hours in volunteer activities. Tami and Fred enjoy travel and lots of outdoor activities including hiking, biking and boating. Tami looks forward to helping you reach your real estate goals!